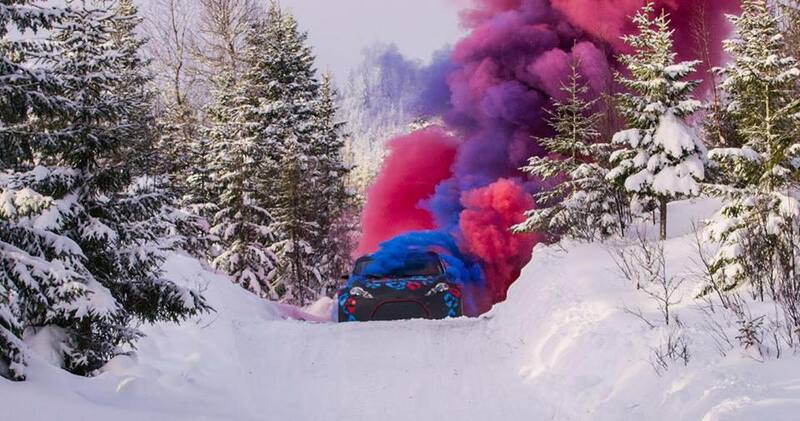 February 2, 2018, Colchester, Vermont - Burgeoning American rallycross driver Conner Martell has announced today his plans to move to international competition in 2018. Martell will compete in the highly anticipated 2018 RAllyX on Ice winter series in Scandinavia before starting a full-time campaign in the six-event RX2 International Series which runs in support of the FIA World Rallycross Championship (World RX). Martell will be supported by Sweden based Team Faren as well as the USA based Vermont SportsCar team. Martell’s Team Faren run Supercar Lites car is a 310bhp, mid-engined, four-wheel drive rallycross car. The RX2 series, which features strictly controlled vehicles of identical specification, is designed to provide an affordable platform to showcase the talent of emerging young drivers. Martell will battle a strong entry list of internationally recognized drivers from a variety of race disciplines at the RallyX on Ice rounds, including IndyCar champion Josef Newgarden and triple Indianapolis 500 winner Helio Castroneves announcing their entries. "The competition in the World RX and RallyX On Ice is going to be insane ! There are some really good drivers here which is exciting as it’s only going to make me a better driver. I’m excited for the challenge and looking forward to this next step in my driving career."